It can be stressful when you damage your carpet. We always recommend that you repair the area right away to avoid the damage becoming larger in size and increasing in price. Our customer in Peoria had several damaged areas on his staircase, but he was specifically worried about the damage on his landing. 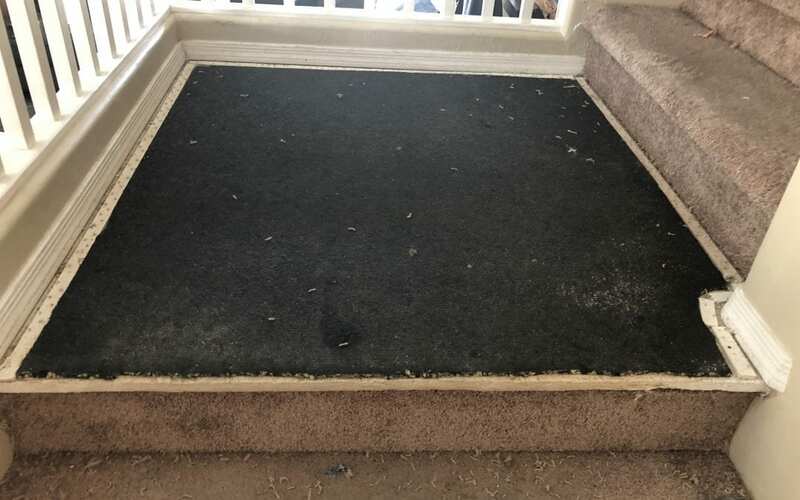 He removed the whole piece of carpet on the landing and our experienced technician installed a new section that he took from the back of our customer’s closet. Great results in just a couple of hours! Call 602-688-4186 for a free, over the phone estimate.